It is our pleasure to recognize Kim Butterfield as our Client of the Month. Kim used to go to a large gym, but has found she has improved her strength, stamina and is lighter on her feet since joining CVF. She feels really good and happy about her progress. She likes the personal attention she and others receive. She enjoys the CVF community and won’t go back to that large gym. She especially likes the Facebook posts and emails on the different fitness subjects. Her advice is to keep going – sometimes you won’t feel like going to your workout, but after the warm up, it’s all good. Overall she’s had a positive experience since joining CVF. What’s More Important, Losing Weight or Adding Muscle? I overheard a question the other day. If I know one thing, it’s that there is a ton of information out there. Some of it good and helpful, but much of it pretty crummy and confusing. This question is an opportunity to hopefully sort some of that out. Also, it’s important to understand that when we say adding muscle, we are NOT talking about becoming a huge bodybuilder. We are talking about adding some lean body, and if you want more definition to your body YOU MUST ADD LEAN BODY!! The assumption with someone with these goals is that as you add lean body you are also decreasing body fat, thereby making you smaller. Take a look at this picture if you need a little clarification on that. 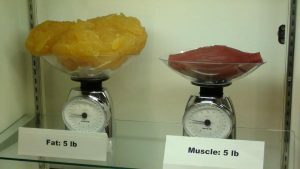 Muscle is denser than fat making the same weight much smaller! OK. Let’s start with this. Adding muscle and losing fat are done mostly with two different processes. Losing fat is done largely with diet and adding muscle is done largely in the gym. Now this doesn’t mean that the gym and diet aren’t involved with both to varying degrees, but for the most part losing fat is done with diet and adding muscle is done in the gym. What does that mean? Well, it means that these things are not necessarily mutually exclusive. You can do both, to some extent. Note that the person we’re talking about does not have a long history with intense resistance training. At home you can work on your diet and in the gym you can exercise with purpose and intensity and try hard to get stronger. Both of these things should be done if you’re trying to lose weight. More muscle means a higher metabolism. This means that instead of our metabolism slowing down as we lose weight (which it will) the muscle allows it to stay as high as possible which makes it easier and more manageable to either continue with weight loss or maintain it. More muscle gives us better nutrient partitioning. This is the process where your body decides what to do with the food you’re eating. The more muscle you have and the more resistance training you do, the more your body will take that food and use it to maintain and build muscle as opposed to adding fat. 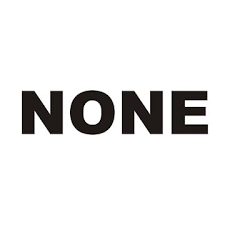 What does this all mean when it comes to the original question? I think that whatever your goal is, that is what’s most important. If you want to lose weight, then that is most important (by the way, figuring out WHY you want to lose weight is a huge key to this whole thing). Having said that, adding muscle would be a huge advantage to this whole process, especially in the long term. I hope this gets you thinking a little differently about what you’re doing. Please let me know if you have any questions about how to make this all work for you. What Can Age Do For You? Now, essentially she is talking about performance. Can you do the same things as you get older? I think this is a great question and I’m actually very happy that Sandy, in particular, asked it. Let me tell you why. 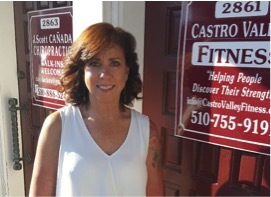 Sandy is one of our powerlifters at Castro Valley Fitness. She’s getting ready for a meet in about 5 weeks. In the past month she’s deadlifted 290 lbs, squatted 240 lbs and benched 140 lbs. By the way, Sandy is 63. I would hazard a guess and say that Sandy is stronger than the vast majority of people, men or women, of any age out there. I tell you this because, to answer her question, of course age does things to us. It would be silly for me to deny that. However, Sandy started with us 7 years ago at 56 years old. If I were to tell you that someone in her mid-50s would be significantly stronger in her early 60s you probably wouldn’t have believed me if all you thought about was age. Yes age matters, but in my opinion it’s incredibly over-rated as a factor in people’s health. I’ve trained people of all ages and I’ve heard people in their 20s, 30s, 40s, 50s, 60s, 70s and 80s all complain about their age. The biggest line through all of this is this: the ones who use age as an excuse most often are also the ones who get the worst results. Posture, strength, mobility, activity level, diet and overall mentality ALL have a MUCH BIGGER EFFECT on your condition than age. It may surprise you but I put absolutely no thought into someones age when I write a program for them. I think about their goals, injury history, exercise history, posture, mobility, mentality, likes and dislikes and age doesn’t enter into it at all. What kind of service would I give someone like Sandy if I just gave her some stock “Age 63” workout program? Well, this is a pretty long answer to a question I’m not 100% sure Sandy even asked, so let me answer her question quickly and directly. Age certainly changes things in our body that we can’t control, but many of those changes can be mitigated partially or even completely through diet and exercise. How this will affect individuals is very difficult to say as there are many factors that vary from person to person. Whether you will be able to lift more weight later in life may have as much to do with your overall talent level, dedication, and general health than age itself, although age will certainly be a factor. I guess what I’m trying to say is that it’s really impossible to say exactly. There are things working against you but everyone is different in this regard. 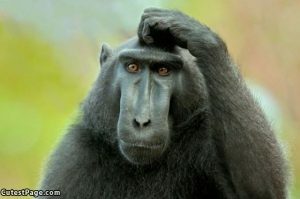 The one thing I can tell you from my own experience, as I am a powerlifter who has probably maxed out his talent level to a large extent, is to try not attach so much significance to sheer numbers. I know how hard this is because this is what we powerlifters judge ourselves by, but do your best to just enjoy the process of lifting. After all, we don’t HAVE to lift. We GET to lift. It is a privilege to be able to do that. I wish more people could understand that. If they did then I really believe that age would cease to be such an easy excuse. Anyway, that’s what I have to say about it. 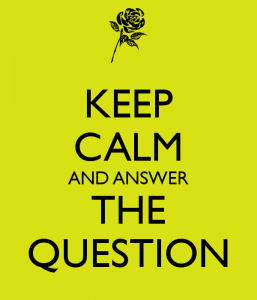 What questions do you have about age?